A person can recover damages after filing a personal injury lawsuit against the party who caused their injury or if a settlement is reached before the case is presented before a judge. Damages can be awarded as either compensatory and punitive, both of which are expected to serve as a form of relief to the victim since the incident can’t be undone. Simply put, “compensatory damages are intended to compensate the injured party for loss or injury” and “punitive damages are awarded to punish a wrongdoer.” While there are a number of types of damages a victim of a crash can recover, of course with the help of a skilled personal injury lawyer, there are three common ones victims seek most often. We share with you what those three damages are below. If you were hospitalized after your accident, had to undergo surgery or other procedures, or are now required to receive ongoing medical treatment from your physician, it is likely you received a statement from your medical providers requesting that payment be provided for the services that were rendered. Now, although you may have had your health insurance cover a portion of your bills, there may still be more that is due and you are being asked to pay. However, since you weren’t responsible for causing the accident, why should you be the one to satisfy this debt? Because this is the mentality most victims have, they choose to hire a personal injury lawyer who can help them recover compensation for their medical bills so that they aren’t obligated to pay them. It is often easy for an attorney to determine how much a victim should be awarded for medical expenses as all they have to do is go back and add up how much each visit, whether it was to the hospital or your doctor’s office, cost. Pain and suffering is defined as “the physical or emotional distress resulting from an injury.” Because most car wrecks, work incidents, or trip and fall accidents leave a person suffering mentally, physically, or both, they often look to the liable party to compensate them for the pain they brought on and the suffering they were or are still forced to deal with. Unlike damages that are awarded for medical bills, an amount for pain and suffering isn’t as easy to determine which is why you should hire a lawyer who can assist you with this. 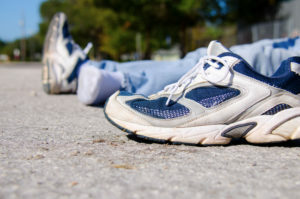 Most accidents often result in a victim having to take time off from work. Whether it is because they are physically unable to return or must continue their care with their physician which interferes with their work schedule, when a person cannot work, it can make affording everyday expenses and monthly bills nearly impossible. That is why most people request that they be provided with compensation that makes up for their lost wages. Now, if the wreck was much more serious which has led to a victim losing out on a promotion or having to quit, this is taken into account when determining how much a person should, in fact, be awarded for lost wages. 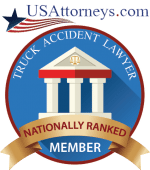 Anytime a person falls victim to an incident that has resulted in them suffering an injury in Nashville, they are encouraged to hire a Nashville, TN personal injury lawyer who can help them recover a favorable amount in damages. 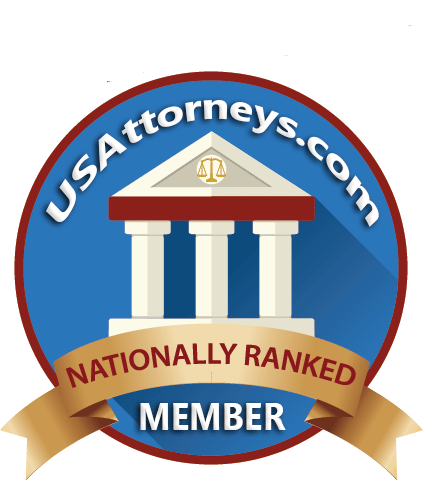 Aside from those mentioned above, my office is qualified and capable of helping you and/or your family recover other types of damages as well such as loss of consortium if you were recently involved in an accident. 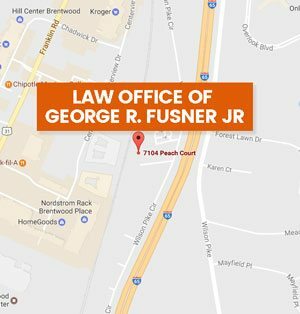 If you would like Nashville, TN personal injury attorney George R. Fusner Jr. to review the details of your matter and provide you with an estimate highlighting what your damages are worth, give us a call at 615-251-0005 to schedule an initial consultation and to learn more.